Mr & Mrs B had lived in their house for 27 years and had never been flooded before. However, that changed during Storm Desmond when the flood water entered their home. Mrs B has shared her experience of what it is like being flooded, including what they did as the water got closer; what it was like to wait for the water; what they did immediately after the flood to clear up and then repair their home. Lastly she explains why they chose to fit ‘passive’ flood protection products. We want to say a big thank you to Mrs B for sharing her story with us. 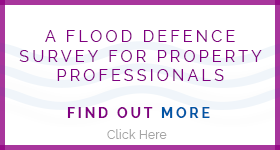 The UK Flood Defence Alliance exists to help you to choose the ideal set of products to protect your property from flooding. We support everyone interested in flooding, including: homeowners; business owners; property managers; campaign groups; local authorities; builders; architects and a host of other trades and professions. © 2018 UKFDA – All rights reserved.